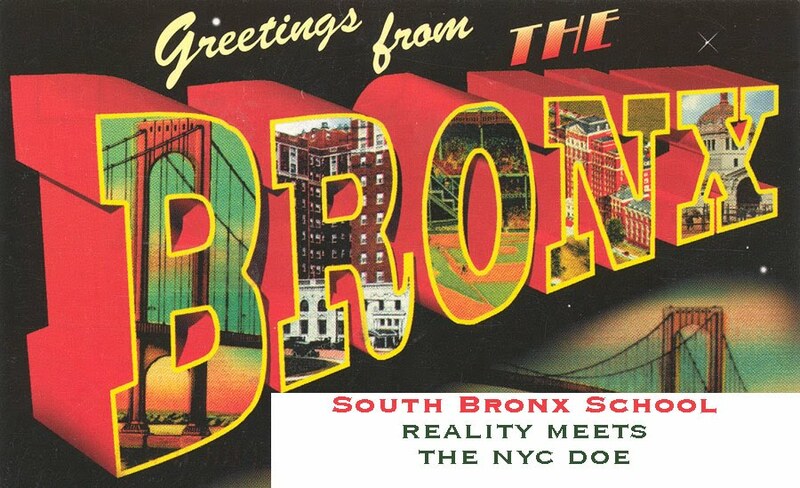 http://www.southbronxschool.com SOUTH BRONX SCHOOL: BREAKING NEWS!!! UFT SOLIDARITY SOUGHT JOB WITH UNITY-UFT! You know what they say..."Crack is Wack"
Which leads us back to the Sheep in Animal Farm...I say teachers are blindly following a false leader, for a few to be powerful. Nice job! Porty is all about Porty. Can we please get a quote from Randi on the meeting with Portelos. I have more faith in her telling the truth than I do Porty. This is just too much. Portelos has to go in 2016. Let's free the NYC schools of Portelos! "Follow me, I'm the Pied Piper." Say whatever you want but write it properly.... Solidarity as you just stayed Waac not officially created on the day of the meeting so solidarity did not meet with Randi Portelos did. Notice how silent Porty and his sycophants are here. The sycophants are probably questioning their leader and have seen him for the con artist he truly is. Forgive my delay, but I had work to do and family stuff. I came back into town last night. Randi and I met around August 25th 2014. By that time I had already resigned from MORE steering. If you remember MORE was imploding on itself from about July to at least December. I don't deny trying to get a union job. Why should I deny that? I do enough damage to abuses in the system from home with my smartphone, imagine if I had an office. Where I could pick up a phone on a desk and help more members. It was very evident though that from that meeting with Randi, to three weeks into September that wasn't going to happen. Unity was not going to allow me access to UFT central. Why? Because I would never stand and oppose the opt-out resolutions, nor shoot down anything else that would benefit the members and students. Basically I couldn't be leashed by Unity nor MORE for that matter. Now while this was happening I was receiving two U observations in just the first 9 days of school. So I turned to my left and MORE was imploding, to my right Unity was saying I don't think so. The DOE was taking another crack at me and August Lempelmeier of the ATR Chapter was twiddling his thumbs. I'm very proud of what came next... 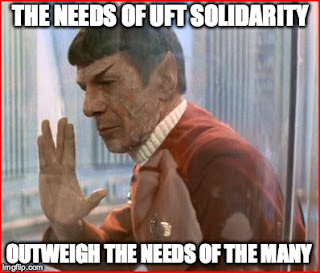 I created the beginning of UFT Solidarity. Then ATR Alliance. Now we have almost 300 members in the ATR Alliance group and just about 100 official UFT Solidarity members. We have retirees, we have ATRs, we have chapter leaders. We work to expose corruption and help members. I'm proud of our growing team and this April we will win the election by beating not only Mulgrew and Unity, but also anyone else who jumps in. Porty wants a union job for Porty. If he got one he wouldn't be running around pretending to give a crap about anyone else. If Porty thinks he's the next UFT Prez he is delusional. Enjoy the air up on that Solidarity spaceship. These numbers are interesting. Are these dues-paying members? Facebook group members? Or just people who said, "Sure, you can use my name"? Do you get 100 people at a meeting? 50? 10? I'm not trying to pick a fight, but these numbers seem quite misleading, at best. I'm basing this on photos of your rallies in which I've only seen maybe 5 people at a time. Here's the bigger question. How many are actual UFT members? Keep pushing the lies innuendo and rumor mongering peeps. You won't know what hit you in 2016.